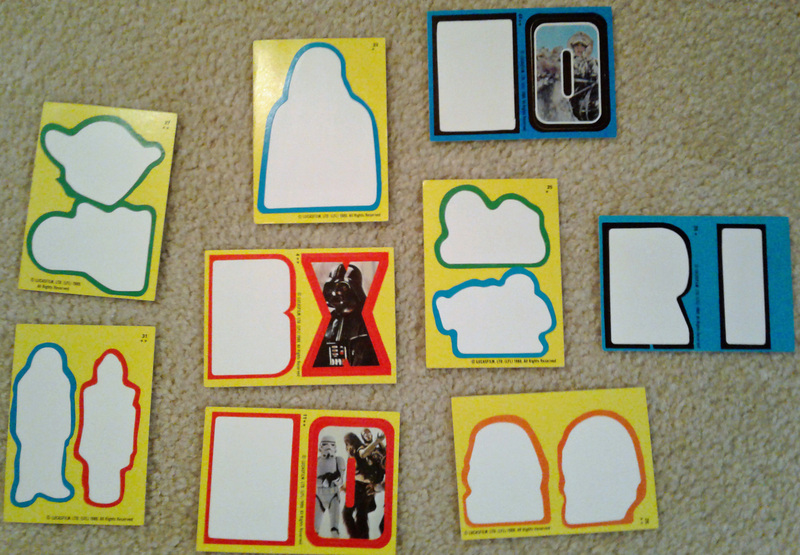 You’ll find alphabet letters made from images of The Empire Strikes Back as seen in the original packages but in a slightly smaller format, plus 18 bonus stickers from the 2015 Topps Journey to Star Wars: The Force Awakens card set, including a page of stickers featuring characters from Episode VII. 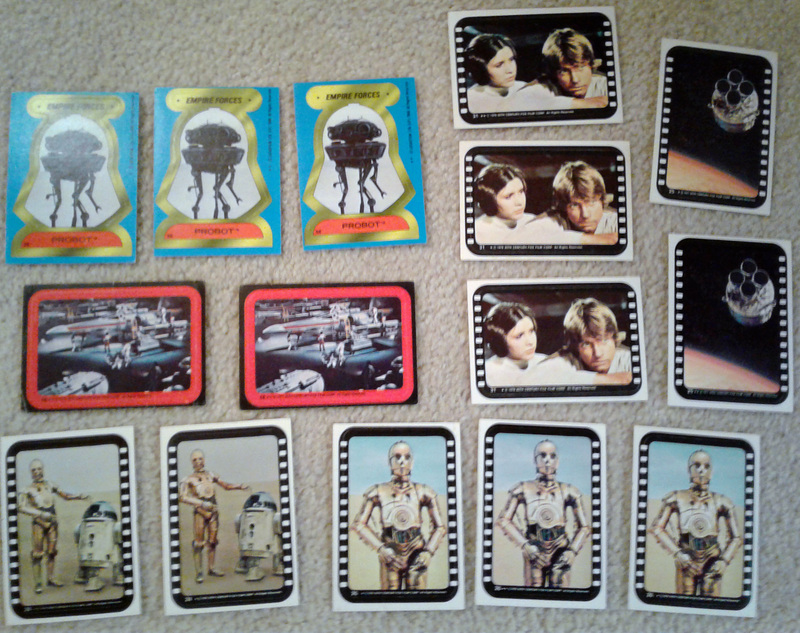 The pullouts are five screen-scene backgrounds (approx. 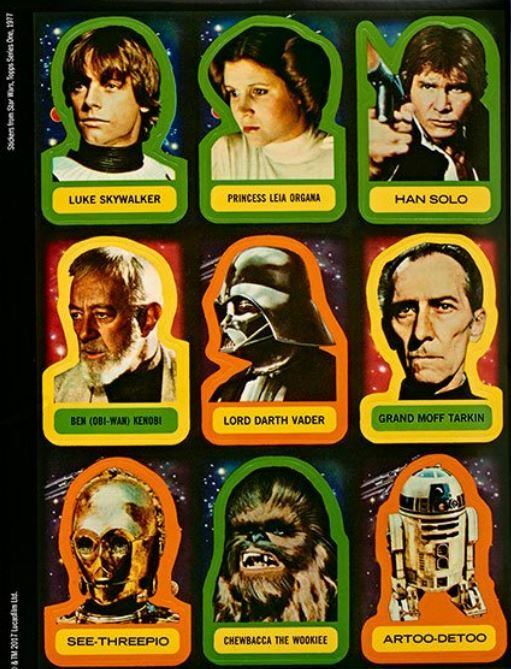 17×22 inches) and on the reverse of each is a vintage poster reproducing puzzle cards from the 1977 Topps card set–these include some of the best marketing images from the film: the crew inside the Falcon, the three stars on the Death Star, and Han and Chewie on the ramp of the Falcon, plus a Sandperson and a denizen of the Mos Eisley Cantina. Altogether that’s more than 250 stickers. No doubt this is exactly the kind of book kids of the 1970s and 1980s would have purchased from their Scholastic book orders–and loved. 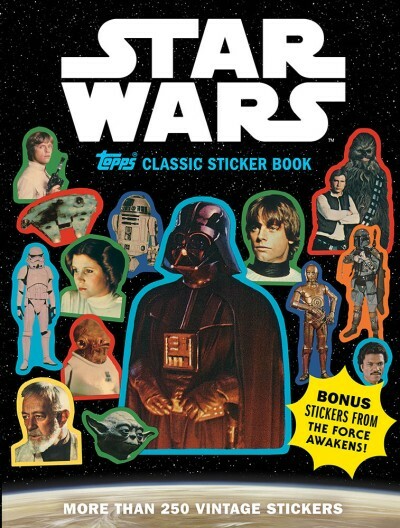 Grab a copy for you or as a gift for your favorite Star Wars fan here at Amazon. And don’t forget to check out the above books featuring all the original cards and sticker images.